Endless rain here but I'm not complaining. Night photography in the rain brings interesting reflections. It also means getting wet! La pluie sans cesse ici mais je ne me plains pas. 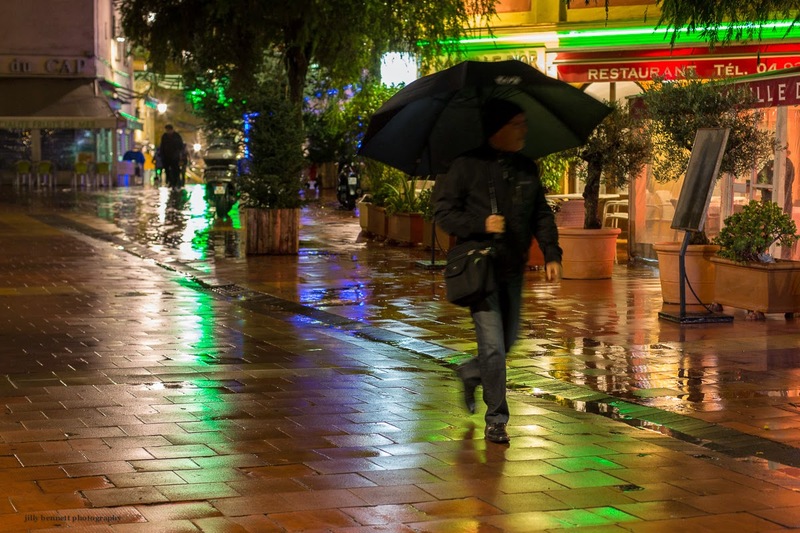 La photographie de nuit apporte sous la pluie des reflets intéressants. C'est aussi un temps où le photographe se mouille! There is something very attractive about rain on cobble stones. The colours do come out nicely in the rain! Winter in a Mediterranean climate can glow.